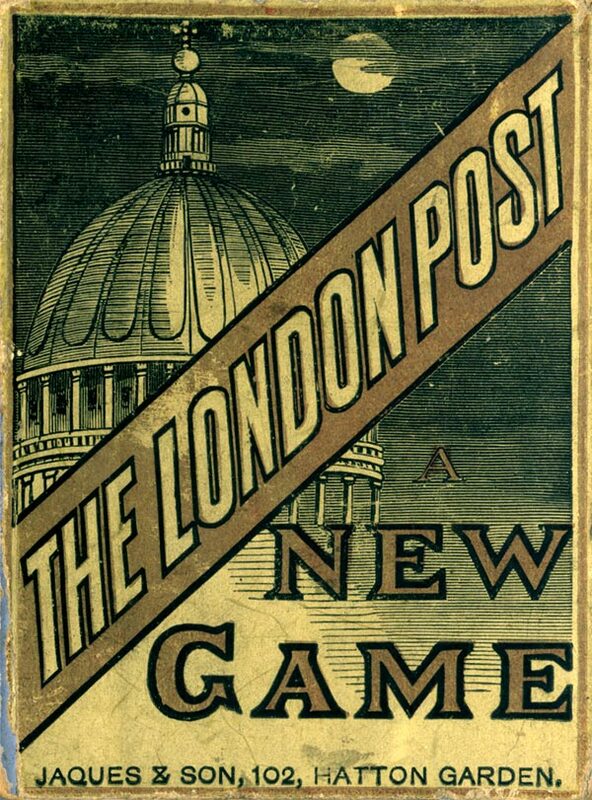 Left: the front of the box, showing the dome of St Paul's Cathedral with a full moon. 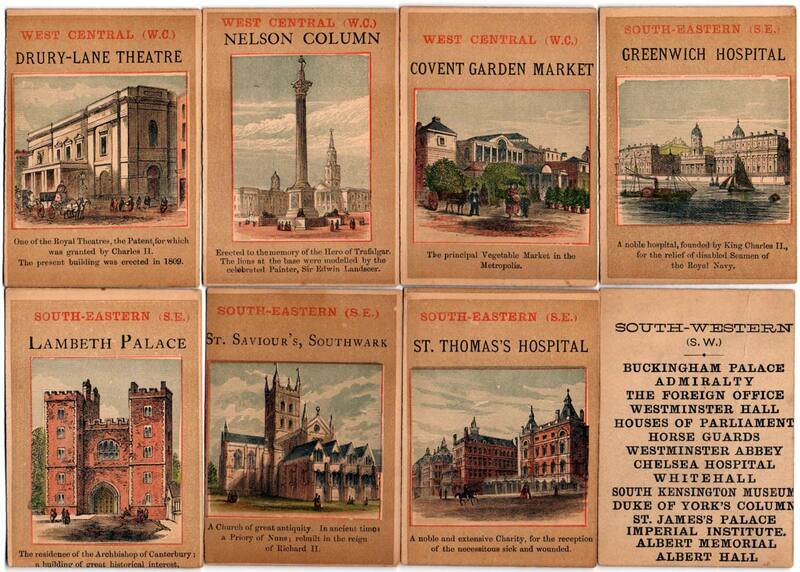 Originally published by J. Jaques & Son, 102 Hatton Garden, London around 1880, it is based around the London postal districts and the distinctive public buldings within the different districts. 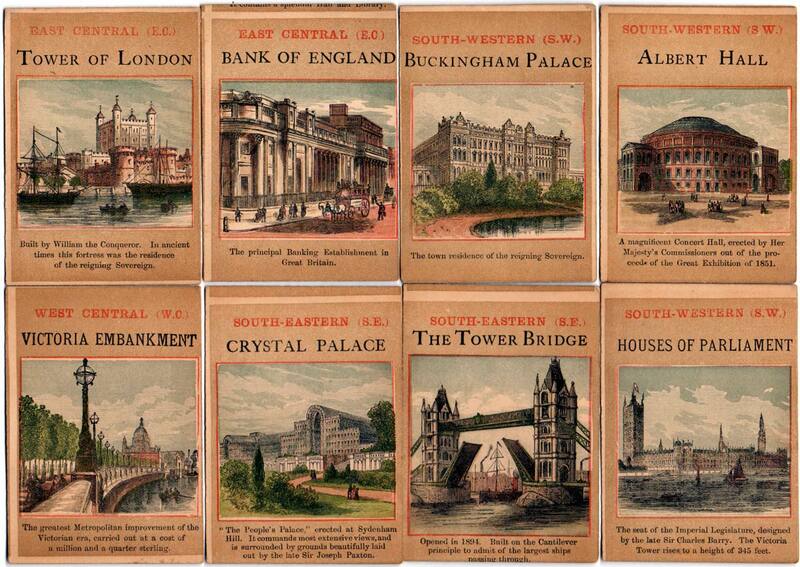 The set shown here is the second edition and contains The Tower Bridge, which was completed in 1894. 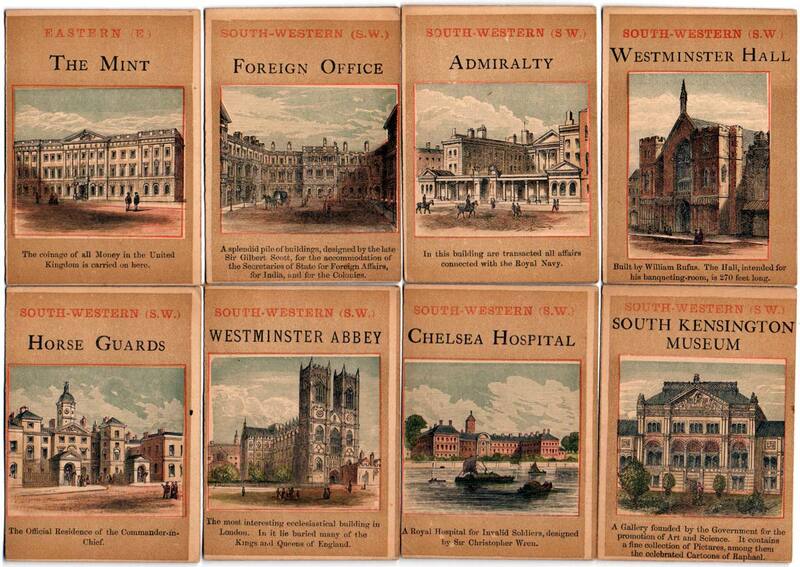 Cards are divided into the old London postal districts - SW, W, EC, N, NW, E, WC, SE - with title cards listing all the cards in each set. 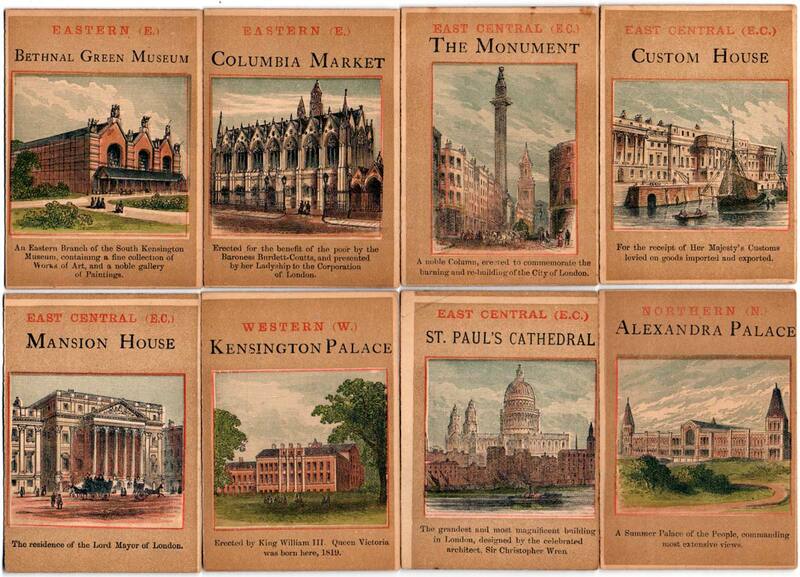 Above: cards from Jaques & Son's The London Post Card Game, second edition, c.1895. 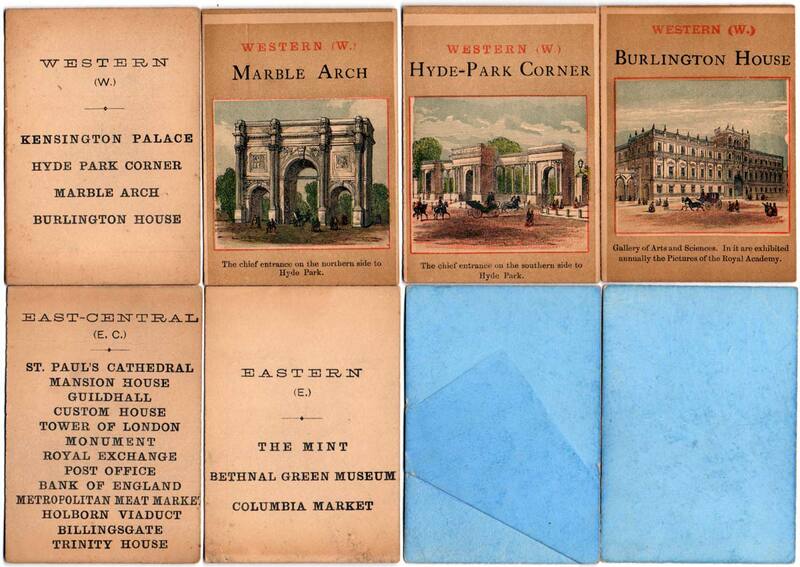 Plain backs, square corners. Price 1s. 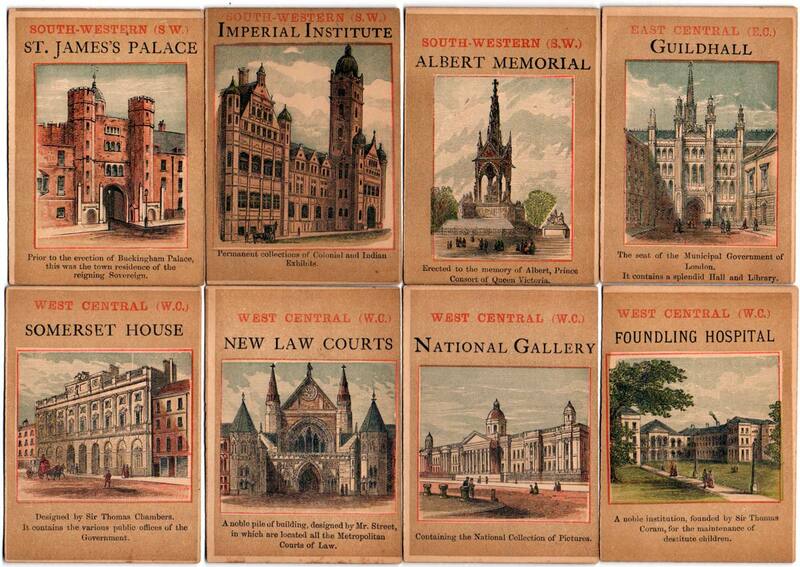 Several cards have been carelessly cut out and their borders have been trimmed incorrectly.